SNOW CLOSURE SATURDAY 3RD MARCH WE WILL RE OPEN MONDAY 5TH. NEW CLASSES PROGRESSIVE BALLET TECHNIQUE COMING AT EASTER WHERE THE USE OF PILATES AND FITNESS BALLS HELP WITH STRENGTHENING BALLET TECHNIQUE. THIS WILL ALSO BE AVAILABLE FOR ADULTS IN THED DAY! NEW TERM SEPTEMBER 4TH !!! Once again our students have amazed us with fantastic exam results and also national achievements . We are now taking new students for our Pre school classes plus we are holding auditions for our Elite Performance Group with this term focusing on Pantomime! Please visit our FB page for unto date events and registrations!!! PERSONAL TRAINING SESSIONS FOR ADULTS DAY AND EVENINGS ALSO AVAILABLE. HAPPY 18TH BIRTHDAY !!! We are having a busy start to the year ! This weekend Lichfield Garrick Theatre PASHA the dancers are excited ( as are the moms! ) our 3rd year at performing with Pasha ! FANTASTIC NEW CLASSES BEING ANNOUNCED FOR SUMMER TERM FOR ADULTS AND CHILDREN!!! Happy 17th Birthday Elite !! We are open Jan 4th and close march 24th for Easter. Exams for this term are Feb 26th . We have new drama and musical theatre class on a Wednesday at 5.45 pm for age 5-7yrs. Competitions in Feb and March for All England and TDCI championships. Happy New Year ! Another fun packed term with new classes for A level Drama, Musical Theatre, Body Conditioning and Adult Tap and Jazz classes. This terms exams will be held December for the whole school and professionals. Competitions are in Redditch and Walsall this term Good Luck Festival team. We are also entering students to audition to represent England in the dance world cup !! Congratulations to everyone on a wonderful show photos can be seen in our gallery !! We have had fab success at All England finals see our festival posts!! We are now getting ready for exams and summer school !! Exams are July 10,11 and 17th . Summer School is 20th-24th July. 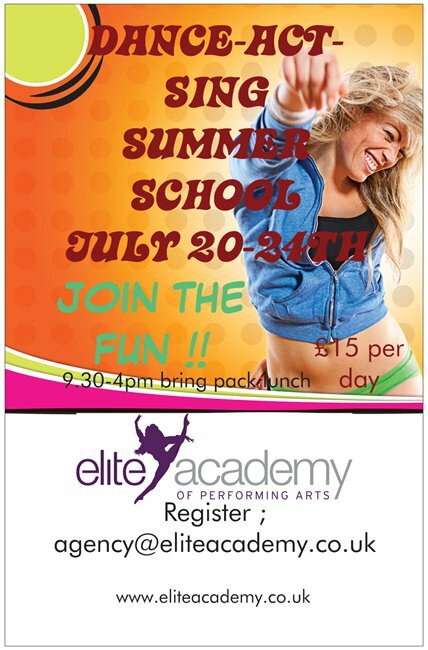 Bring a friend to Summer school and get a 20 % discount off your day ! We are now preparing for our SHOWCASE 2015 at Prince of Wales Cannock May 2-3rd tickets available from Box Office from April 20th. We are also taking 45 children to dance with Pasha on the STRICTLY SHOW At Lichfield Garrick Theatre also on May 2nd. This our 2nd year taking part in this event . We are also preparing timetable new classes for Summer term so keep upto date on our FB page too !! WELL DONE TO ALL OUR GCSE DANCE STUDENTS TODAY ! !0 students completing the course in one year and all students only in year 9 and 10 . Fingers crossed for written results to be as good as practical !! We re open June 2nd Monday . We close for Easter after classes on April 12th and then reopen mon April 28th. Invoices for next term will be issued by end of term . It has been a busy term with competitions for the Elite Team at the SSTAF festival which was held at Landeau Forte Tamworth. over 30 trophies were won for highest overall marks etc plus individual medals meaning that Elite won the teachers trophy for the 2nd year running for the most aggregate points over the whole competition. Well Done. Plus TDCI staffordshire regional championship titles for Juvenile Ballet, Modern,and Junior Ballet. Congrataulations to Bethany Lakin and Charlotte Rawlinson also James Hocknell who have successfully auditioned and been accepted at top london dance and musical theatre colleges now the decision which one to choose! AMAZING EXAM RESULTS ; CHECKOUT THE RECENT SUCCESS PAGES ! Unlikely news !! Charlotte and Beth also came the first joint winners of the Lichfield Pancake race!!! Such talent !! Our Strictly fun classes are going fabulous darling and students are now samba and rumbaing around the studio .. New Adult class will be starting after Easter ! Drama and musical theatre classes will be having new intake and with extra sessions added for Talented Tots and Diddy Drama. Private singing slots will also be available after Easter please email me or message me . check out our recent success news and comp news ! We close for classes on March 29th and re open Monday April 8th . This term has been an action packed term with many important exams and auditions for our senior girls. Thea and Bobbie secured places at Urdang Academy, London on BA degree. 30 places and over 4000 applicants ! Nicole Jackson Royal Academy of Dance Degree again a magnificent achievement. February; IDTA scholarships Manchester. With elite getting into the finals. March; Exam session 100% pass rate with Kiara Wheeler gaining an incredible 94 % for grade 3 Theatrecraft. All Intermediate and Advanced Ballet students gaining Distinctions. 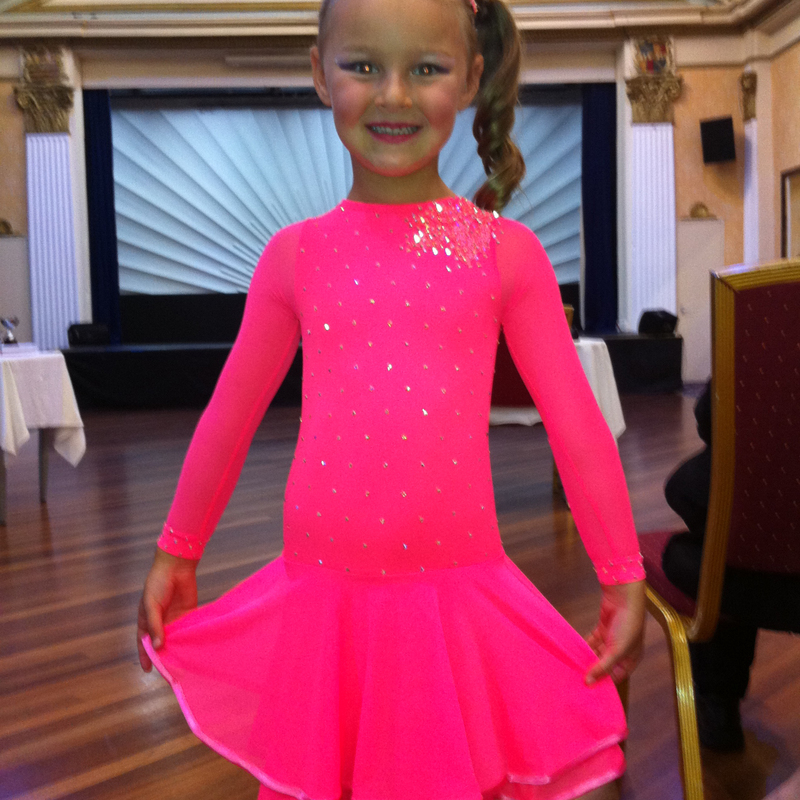 SSTAF festival; Miss Charlotte organized her first dance festival with great success. * Kiara Wheeler; Runner up junior Ballet champion and 3rd in Modern. * Talia Butler; Staffordshire champion for senior modern and runner up Ballet. * Nicole Jackson; Runner up senior modern champion. Well done to all other students you have all performed beautifully and behaved graciously.